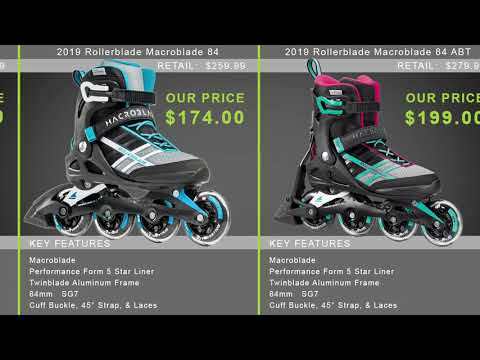 The Macroblade 80 ABT from Rollerblade addresses the biggest concern of most skaters, can I stop? The ABT brake system provides control and stability for new skaters who need a little extra confidence and support when stopping. Traditional brakes work very well but can be challenging for some to use. Skaters have to lift their toes up on the braking skate and roll on just a few of the wheels which creates some potential balance or fear issues. ABT on the other hand is cuff activated and allows the skater to slide their braking foot forward with all eight wheels on the ground adding stability and enhancing balance during the braking process. This results in a smooth, gradual braking motion which instills more confidence in the skater. Using the brake will be easy and comfortable because the Macroblade boot will blanket the feet in comfort and the wheel/bearing set is ideal for skaters to have the right amount of speed and control without going too fast. You will get a comfortable fit that your feet will love thanks to the Performance liner and Training footbed. Q: I wear wide shoes/ sneakers. Do I need to size up to accommodate it? A: I wouldn't recommend sizing a full size up but a 1/2 size. That will give you a little more room in the boot to add an aftermarket footbed or a heel lift. I've had good luck adding heel lifts to skates for those with a wider foot as this will bring the foot up in the boot thus relieving some of the side to side pressure. Q: is this a good choice for beginners? I've read that ABT brakes are better for beginners b/c they help w/stability. Which I feel would be best for me, but when I look for beginner inline skates, I'm shown inline skates that look like traditional brakes. 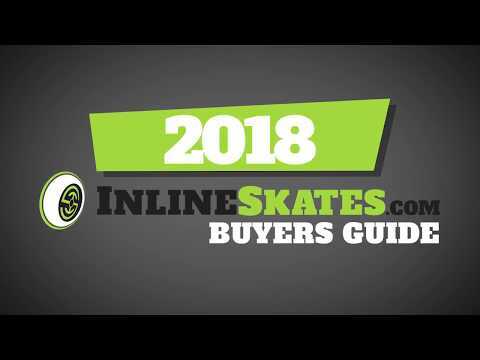 I'm confused as to which type of skate is best for beginners who need stability. thanks! A: Not all beginner skates are going to offer the ABT brake system as ABT braking is a Rollerblade brand technology. This skate is a great beginner skate and the brake system will aid in learning to skate and brake. 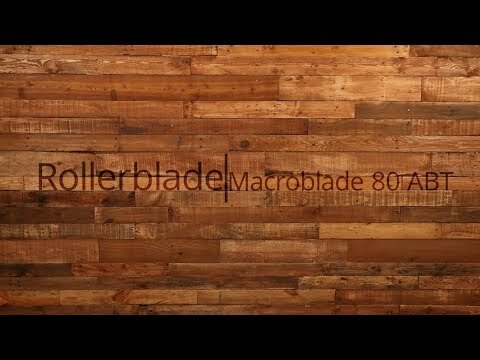 The Macroblade 80 is a great beginner skate and will also offer great performance for taking your skating to the next level when you're ready.